In iOS 11, you won't need to remember anything when you get a new iPhone. 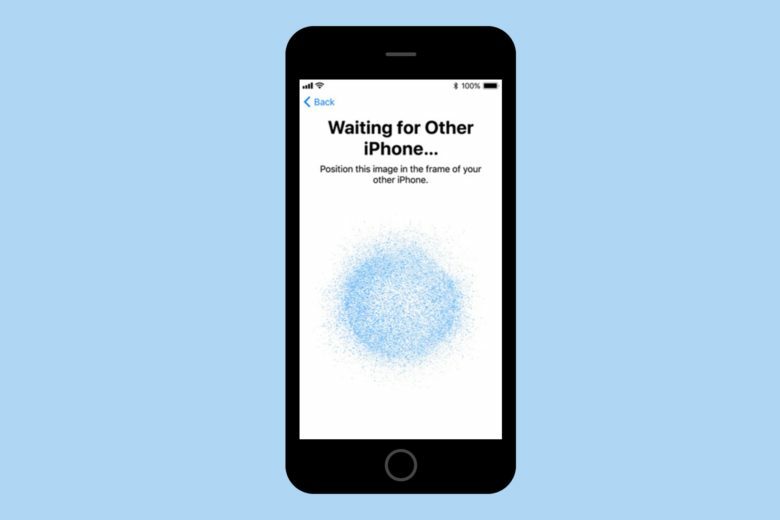 Setting up a new iOS device is pretty easy, but it’s about to get even easier thanks to iOS 11’s new Automatic Setup feature, which lets you hold your old device near your new one to transfer across essential info. All you need to set up a new iOS device are your iCloud login details, and the password for your WiFi network. But even that can be a bit of a pain, especially if you use a super-secure passwords that you store in something like 1Password. In order to get to your passwords, you need to install 1Password. But in order to install 1Password, you need to input your iCloud ID and your WiFi login. Automatic Setup will put an end to that. Right after you pick your language and region, the new device tells you to “Bring your existing iOS device close” to the new iPhone or iPad. When you do so, a little panel pops up on the old device, giving you some instructions to follow to “pair” the devices, just like how you pair a set of EarPods. To complete the pairing, you have to aim the camera of your existing device at the whirling cloud patterns on the screen of the newborn device. And that’s it. The WiFi and Apple ID settings are beamed from one device to the other. The new device then pops up another new iOS 11 feature. Previously when you added a new device to your account, or logged in from a new browser, you would have to type in a one-time password that was sent to one of your other devices. In iOS 11, you now use your device lock code for the same purpose. With the new Automatic Setup, you are prompted for this unlock code, which then becomes the unlock code of your new device. Once that’s done, you set up Touch ID with your fingerprints. Another change in iOS 11 setup is that all those questions that you had to answer before you finally got to the home screen have been lumped together into one new screen called Express Settings. This enables default settings for location, Find My iPhone, and analytics, which can all be changed later. So, instead of having to allow each of these services in turn, you can enable them all at once. This is a smart move. Nerds will still be able to configure these settings, but everyone else can just forget about them. I’ve watched regular folks set up new iPhones and they hate this stage. They don’t understand what most of the settings are for, so they disable essentials. Take Metallica’s Kirk Hammet, for example, who lost hundreds of recorded riff ideas when he lost his iPhone because he’d somehow disable iCloud backup. If he’s been on iOS 11, the world would have been subjected to all those lost ideas. I already thought setting up a new iOS device was easy, but this is a whole other level. It does require you to have an existing iOS device in order to take advantage of the new streamlining, but that’s hardly a big deal. I’m just looking forward to the time I get a new iDevice and don’t have to type in my gazillion-digit WiFi passcode while I try to read it from the screen of the iPhone balanced on my knee.